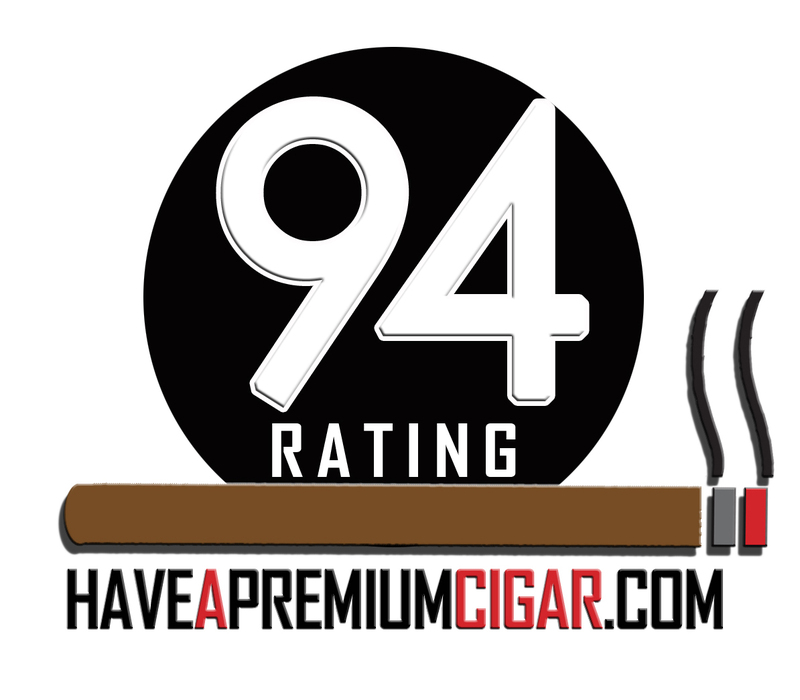 White Hat Cigars distributes the Hirochi Robaina (HR) line of cigars. 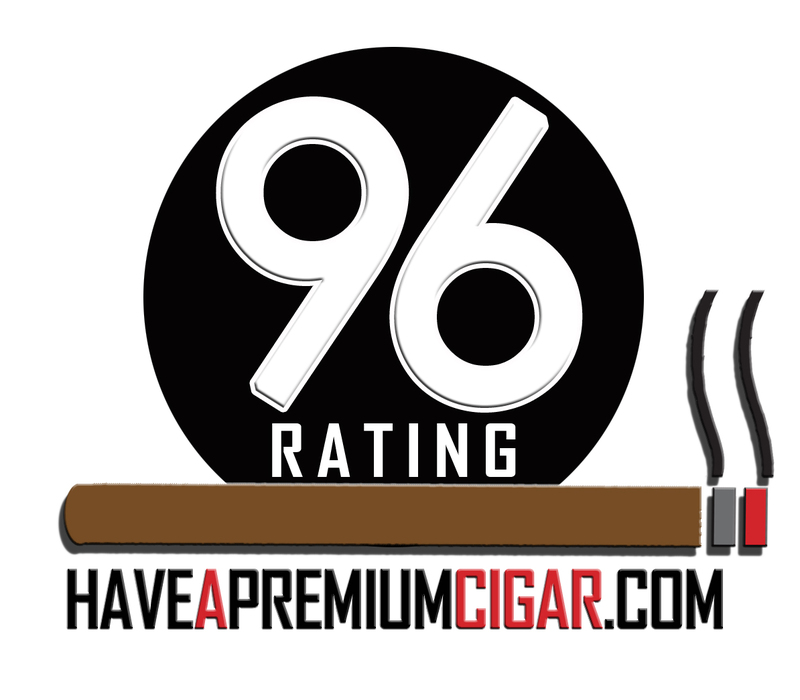 If the name Hirochi Robaina sounds a little familiar to you, that’s probably because Hirochi is the grandson of revered Cuban tobacco grower and expert Don Alejandro Robaina. 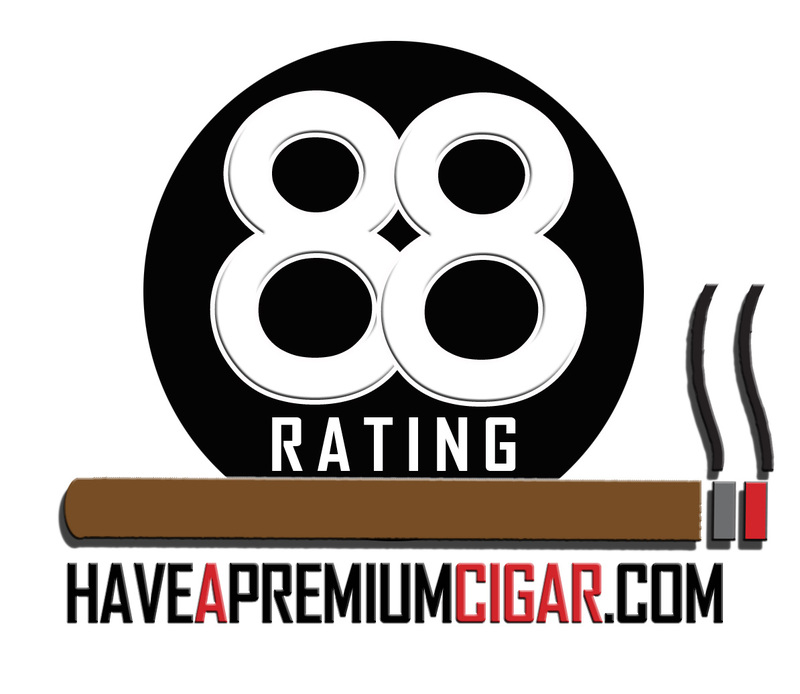 The HR line of cigars is made at the La Corona Factory in Esteli, Nicaragua. 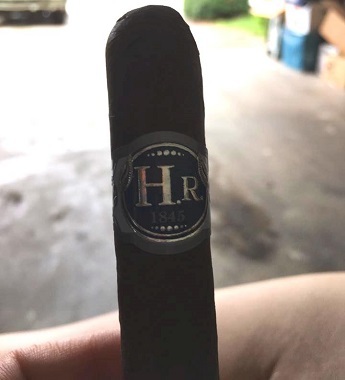 The HR Signature (brown band) sports a smooth and oily dark wrapper exhibiting an intoxicating aroma of rich dark chocolate, also present in the shaggy foot. 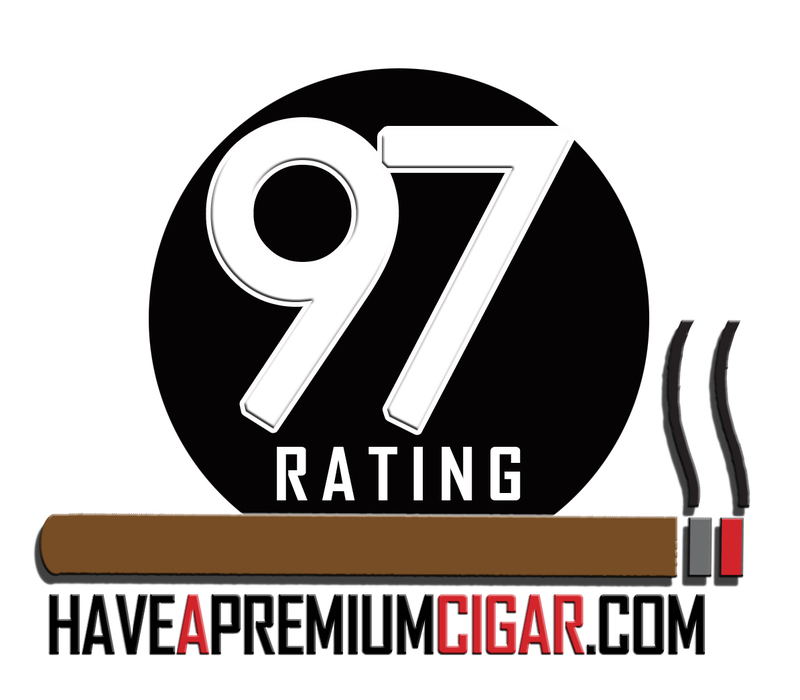 The cigar has a nice firm bunch, clips cleanly and displays a perfect cold draw. 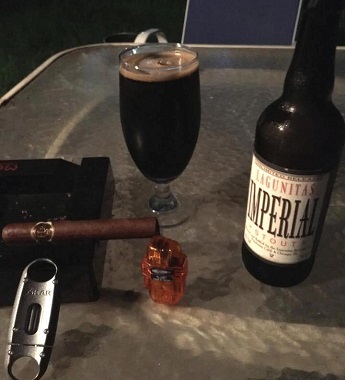 My accompanying beverage on this night is a Lagunitas Imperial Stout, an excellent ale with coffee and cocoa nib notes. This seems like it will be a perfect match. Initial notes of the cigar are heavy on the cocoa and light on the coffee. So far, it looks like this HR Signature might just live up to the family name. It’s a full-bodied, full-flavored cigar, making the stout ale an obvious pairing choice. The cigar is burning evenly, and the ash is light grey and solid. Still, I’m going to be careful to avoid ash lap like I experienced the night before. Sure enough, the ash drops three-quarters of an inch in. (So I was right to be careful.) Maybe this cigar won’t win any long ash contests. But the flavors more than make up for that shortcoming. After the first third, a healthy dose of black pepper appears in the retro-hale. And while the cocoa and coffee notes persist, a smooth base of leather also now emerges. The combustion continues to be even, with a nice conical burn. The cigar is also very cool and pleasant. Nearing the two-thirds mark, a sweetness joins the profile while the pepper settles down some. The burn is still excellent, and the ash continues to drop every three-quarter to one inch. The smoke remains cool and pleasant. The cone has flattened out, and is now even with the straight burn. Approaching the final inch, the flavors remain fairly consistent, although the smoke is heating up a bit. 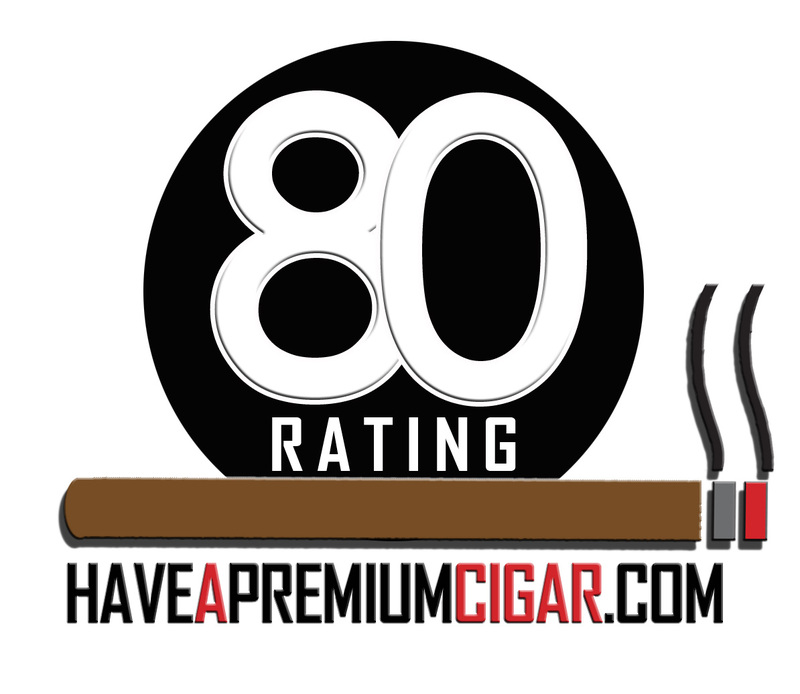 This is a very nice cigar, especially so for full-flavor fans. It earns a solid 90. The HR Blue (blue band) represents the Maduro offering in the line. The cigar’s mostly smooth and dark wrapper shows some minor veins. The bunch feels very firm, while the wrapper gives off a rich aroma of dark chocolate and coffee. A good clean clip leads to a good cold draw. An almost meaty start to the smoke comes complete with black pepper on the retro-hale. 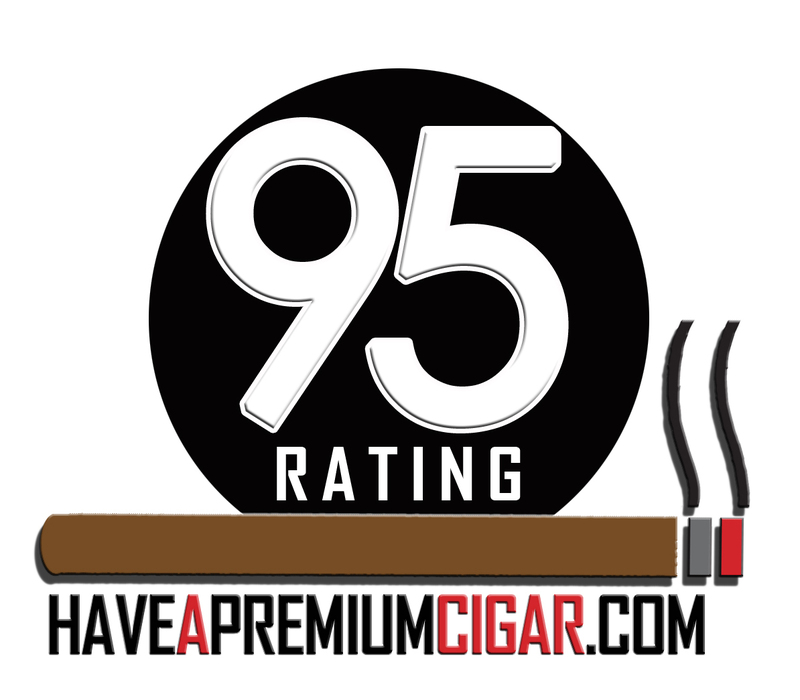 This is a very full-bodied and full-flavored, but not overwhelming, cigar. I’m off to a great start, especially given that I’m teaming the HR Blue with a locally brewed Porter. The pairing promises to be very good. Meanwhile, although the burn is even, the ash once again looks suspect. I must be vigilant. The first third provides a good mix of cocoa and leather notes with some cayenne (albeit very light) on the retro-hale. The cigar is burning mostly evenly. The ash is medium grey, and knocks off easily at three-quarters of an inch. Approaching the two-thirds point, a sweetness develops, adding to the cocoa notes and providing a very pleasant flavor. The burn continues to be even, and the complexity is very nice. As I close in on the final inch, the flavors remain great even though the cigar has begun to get a bit warmer. Excellent construction and very solid complexity get this one a score of 83. The final offering in the Robaina line is the HR Claro (white band). Its mostly smooth wrapper has a couple of veins, and emits a light ginger-like aroma. A clean clip of the firmly bunched cigar reveals a slightly tight cold draw. However, the draw opens up when the cigar is lit, with almond and gingerbread notes appearing even as some white pepper in the retro-hale fades fairly quickly. This is much more of a medium-bodied cigar than one might expect from a Claro. The burn is mostly even. The ash is light grey and looks like it might drop on me, although it is not flaky. As predicted, the ash drops at about three-quarters of an inch in. This time around, my beverage selection is Bell’s Two Hearted Ale, an American IPA that has been rated as best American craft beer. I’m not sure I’d go that far. 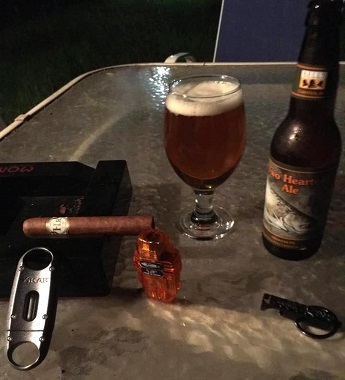 But the IPA is good, and matches well with the cigar. At the one-third mark, those white pepper notes return to the retro-hale. The almond and gingerbread notes are very smooth, with a light touch of leather also apparent. The burn is a bit off along one vein, and requires a touch-up. Two-thirds of the way in, the burn along the vein remains problematic, yet the flavors remain smooth. The white pepper notes have subsided again, but the overall flavor is still very pleasant. Towards the final inch, the burn remains uneven along the vein, and is not responding to touch-ups. A hint of bitterness has to be purged in order to get back to the flavor profile, which is still rich and tasty and has a creamy finish. For this particular cigar, I’m giving 75. That said, another sample with a smoother wrapper would undoubtedly score higher.